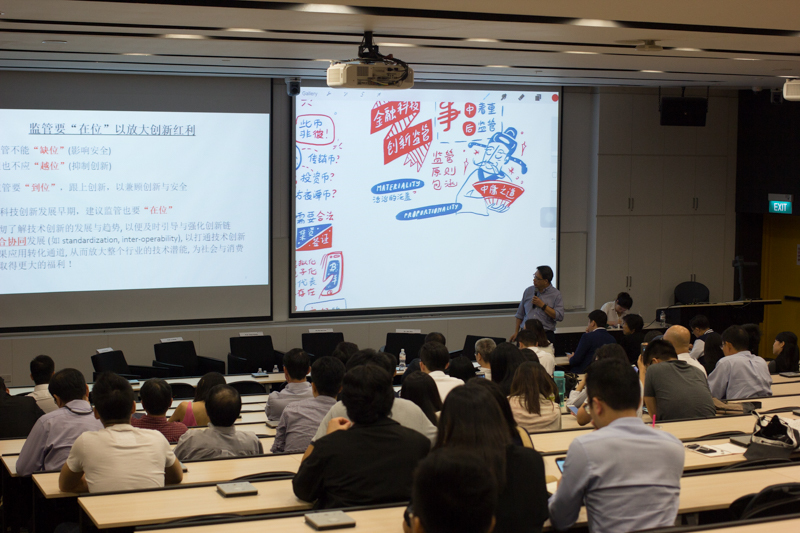 With the recent trends of surging bitcoin prices, ICO tokens, and PBOC regulation, Singapore University of Social Sciences partnered with Shanghai University of Finance and Economics to discuss the timely issue of financial technology in China. 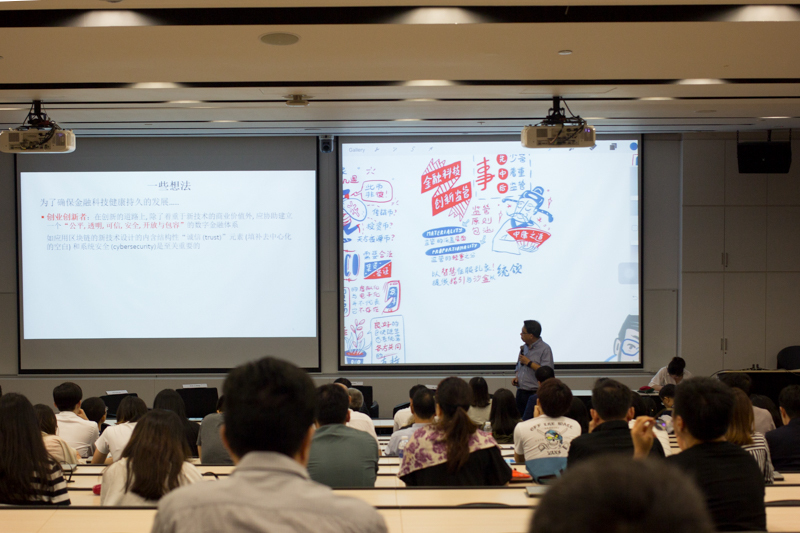 With dual screens projecting both the PowerPoint slides and our live graphic recording, we achieved a breakthrough in incorporating Chinese calligraphy styles - such as the regular script (楷书), the clerical script (隶书), the semi-cursive (行书), and even the seal script (篆书)! 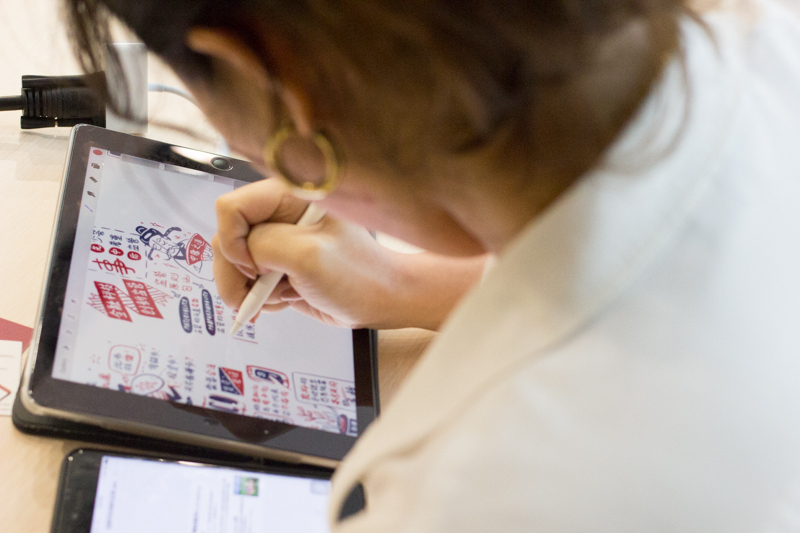 Available as a shareable, printable high-resolution image, our digital graphic recording can also be turned into a time-lapse video for replay. 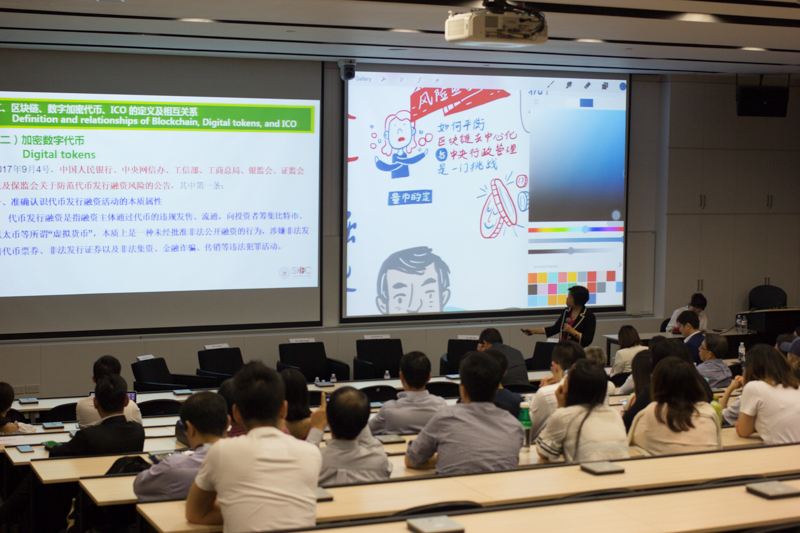 It not only enthralls the audience in the room, but also communicates context when shared on social media. 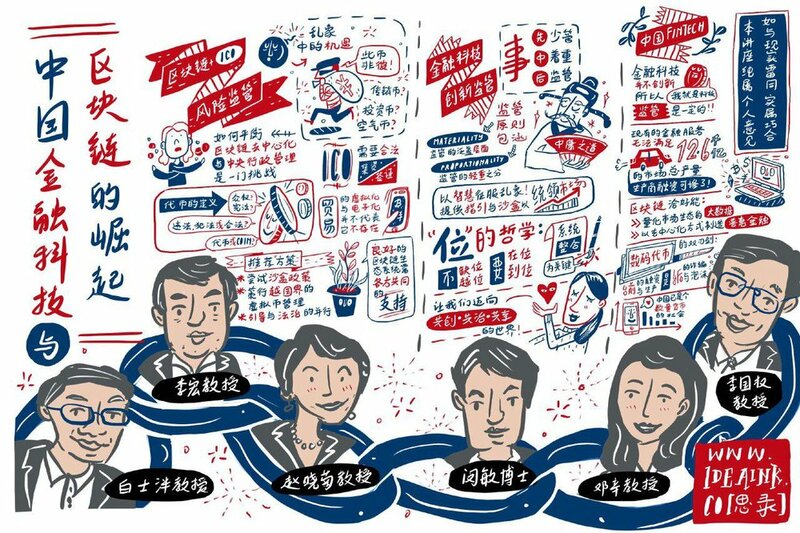 Try our digital graphic recording services! What are you waiting for?